Desktop accessories might be a bit of a dying breed, but, dammit, it's still nice to have a place to keep your phone, change, pencils, and pocket ephemera organized. 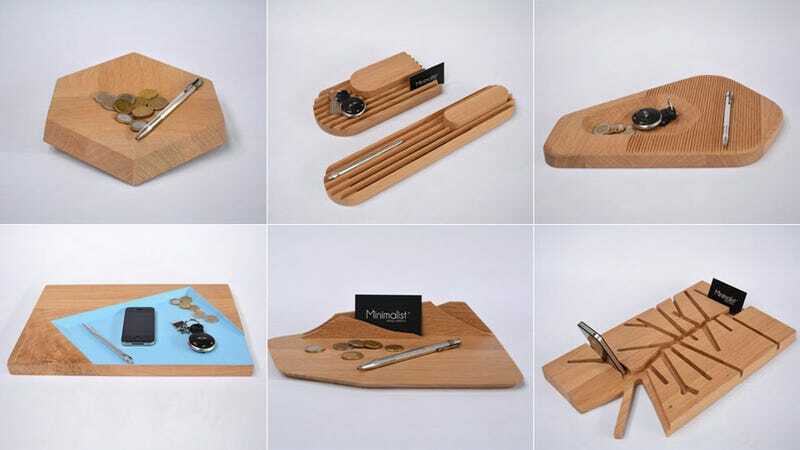 As part of the new Design Made in France Expo, ten young designers were tasked with resurrecting the form; each was given a single slab of solid oak with the brief to create a functional, clean-lined "pocket" to hold onto the stuff that makes for messy workstations. Considering the blank slate they began with, it's neat to see all the different incarnations that emerged in the span of ten days.